You may think of it as a salad green, but arugula, also known as “rocket” or “roquette”, can be eaten steamed, sautéed blanched or raw. However you cook it, arugula is bone-strengthening, immune-boosting, vitamin and mineral-rich. 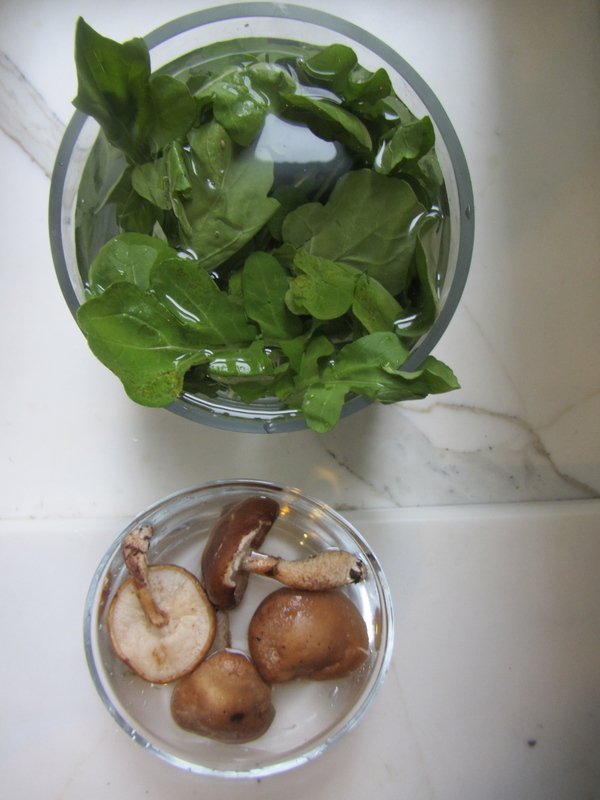 Process Wash the arugula and mushrooms well, separately. 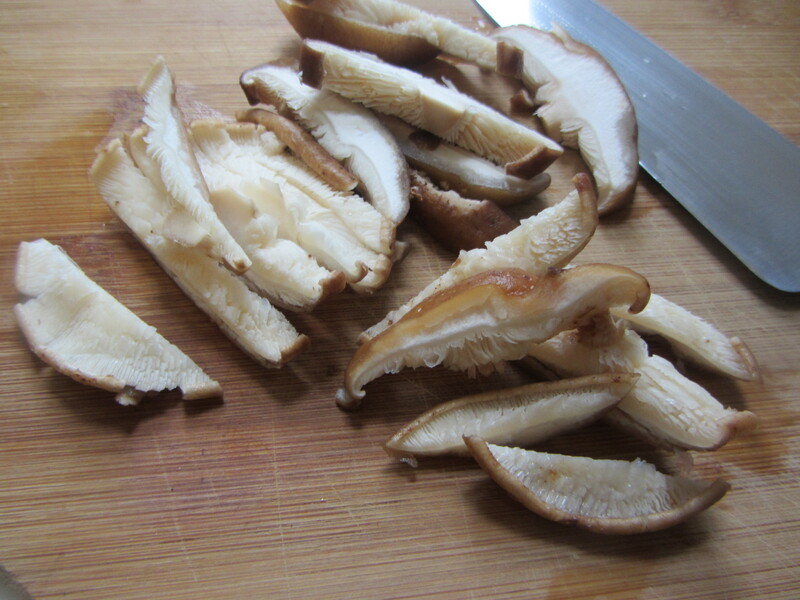 Remove mushroom stems; cut caps into quarter-inch-wide strips. Heat a cast iron or stainless steel skillet for about 20 seconds. Add sesame oil and let it warm for about 10 seconds. Add mushrooms to pan. When they begin to sweat, sprinkle some sea salt on them and watch more water release. Cook the mushrooms until they are wilted and very slightly brown, or to taste. Add fresh black pepper to taste. Set aside. Fill a large, deep skillet with about two inches of water. Bring to a roiling boil. Add the arugula leaves, whole. They will wilt, turn a brighter shade of green, and rise to the top of the water. Remove them with a wire mesh skimmer. 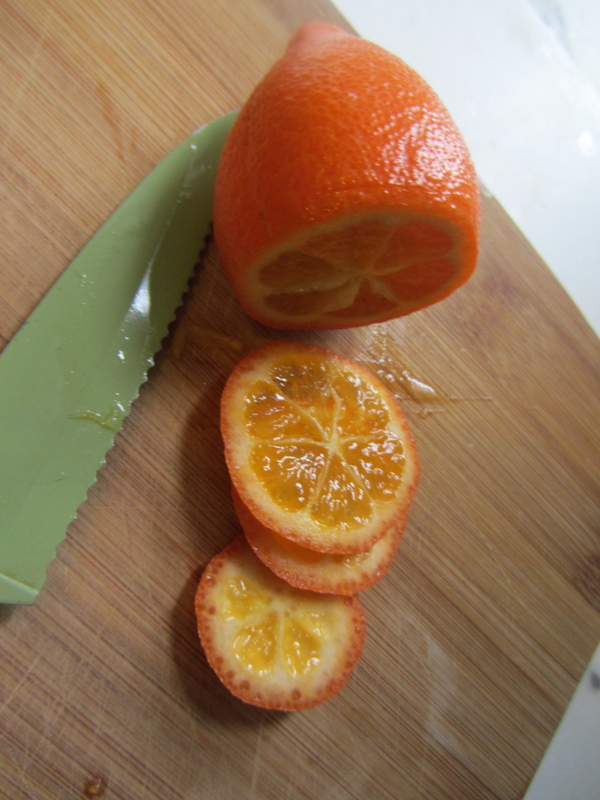 Slice the mandarinquat horizontally, into thin dime-shaped pieces. Set aside. Now assemble the dish: place the arugula leaves together in the center of the plate. Scatter the mushrooms around it and top with a mandarinquat slice. Serve warm or at room temperature.